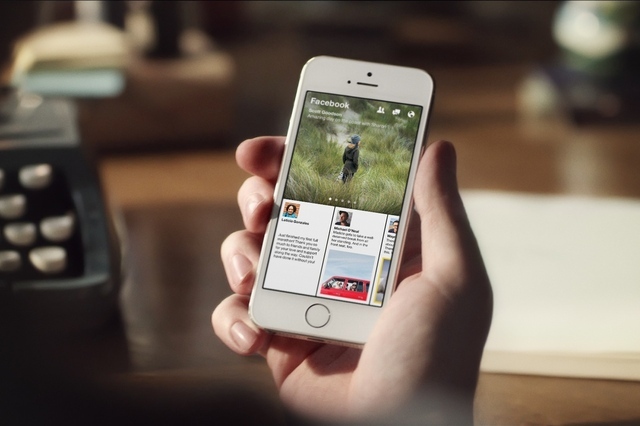 Facebook Paper: What Does it Mean for Your Brand? Social networking sites face the daily imperative to either evolve or die, and to its credit, the massively popular Facebook has elected to change with the times. Ten years into its existence, Facebook has launched its own internal “Facebook Creative Labs” team, tasked with designing new ways for users to experience Facebook. The first offering from this team is a brand new app that’s simply called Paper—and while the jury’s still out on just how much this app will impact users, it certainly has implications for brands and their content marketing endeavors. The point of Paper is essentially to take everything that people enjoy about Facebook and repackage it as a whole new user experience. In other words, there aren’t really changes being made to Facebook itself; Paper simply provides an alternative way for users to explore the site. The Paper app offers a full screen that’s adorned with bright, vibrant, colorful images—and an interface that is not unlike popular content curating apps such as FlipBoard. Content-driven, Paper allows users to select such sections as “Headlines” and “LOL,” where curated content from news sites across the Internet is chosen and highlighted by a human editorial team. There is also a section that’s just called “Facebook,” which displays stories from the user’s friends and from brands that he or she follows; status updates and posts are re-imagined as colorful, magazine-like “content” spreads. You can imagine what the implication of this is for companies. For years we’ve been beating the drum for compelling content creation—and indeed, online marketing professionals everywhere agree that this is essential to Facebook branding success—and Paper effectively makes it more important than ever before for brands to create truly unique content experiences for their users. The best way to appeal to Paper users is to offer them a rich content experience—period. This means blog posts that include unique or compelling images, attention-grabbing headlines, and embedded videos. It also means your company blog posts must be original—not just paraphrases of other blogs you find on the Web! In addition to upping the content game, brands also need to familiarize themselves with how Paper works. A particular recommendation is to spend some time checking out the different sections, which include things like “Tech” as well as general news headlines. The more of these sections you can get your content featured in, the better your social reach will be. That doesn’t mean you should try to shoehorn your content into a category that has nothing at all to do with your brand—relevance does matter—but thinking about your content in terms of sections, or genres, is a good way to be methodical about your content marketing strategy in the age of Paper. A final thought: All of this makes it more important than ever before to really plan your approach to Facebook. No longer can brands expect to get maximum reach simply by posting the occasional funny joke or meme as whim strikes them. It matters that you set up an editorial calendar and get strategic about providing your Facebook followers with rich, diverse posts and updates. The team at Grammar Chic stands ready to help you cultivate a content strategy for your brand. Learn more: Visit www.grammarchic.net or call 803-831-7444.